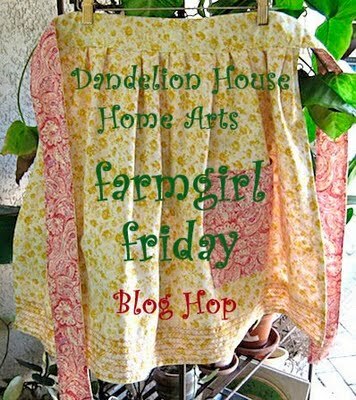 White Wolf Summit Farmgirl: Handmade Gifts From the Heart Blog Hop! ATTENTION CRAFTERS, BUILDERS, CHEFS, AND MOMS! This post is for you. When my hubby and I were just starting out, we used to make nearly all of the gifts we gave to family and friends for birthdays and Christmas. We had to, we didn't have any extra money. I have to confess, those Christmases were my favorites. It was so much fun. I enjoyed the whole creation process. Planning gifts, picking colors, textures, paint, and designing and making everything was a blast. Our family enjoyed those days so much more too. The look on my Mom's face when Jerry unveiled her new cabinets, or a bench seat would bring tears to everybody's eyes. There is nothing more satisfying than giving someone you love, something they really want. 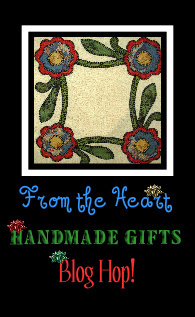 Likewise, who wouldn't rather have a gift made by your loved one's own hands. My favorite all-time gifts came from my husband, my Grandma, and my son Jon; and they were all homemade. Homemade gifts are meaningful in so many ways. My hubby Jerry and I talked about it recently and decided that we will be going "old school" this year. We are going to make as many gifts as we can. It's a selfish plan really, I know. We love making things, our family enjoys homemade gifts, and making things keeps me busy and helps burn some of those excess calories, so it all works out in the end. We've made dolls, rockers, quilts, clothes, food-in-jar mixes, painted decorations, garden boxes, and so many other gadgets and goodies over the years, and we like finding new, practical, interesting gift ideas. That's where the blog comes in. I am going to post and share some of the ideas, directions, and instructions for a few of my gift giving plans and I'd really appreciate it if YOU would link up and share a few of your homemade, handmade, gift giving ideas with all of us here too. 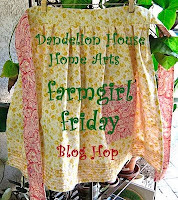 That way, we build a sort of instant "ebook" on this blog hop linky that we can all refer back to for good ideas all season long. Share as many homemade gift ideas as you like, the more the merrier. I have just a few requests, please oblige me. 2. 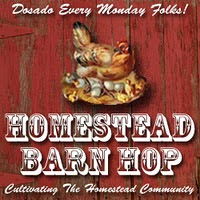 If you get the chance, write a post about our hop so more people can hear about it. The more people participating, the more ideas we get, thus- the bigger our bag of tricks will be for Christmas gifts. That's it, It's time to get brainstorming. I know we will all be busy this next week, so I don't expect many posts yet, but think about ideas. That's what I will be doing alot of (as I cook) thinking up ideas. Get back here and post when you have a chance and check in every few days to see what's new. Thanks for visiting, I hope you stop by again. its so nice. hand made gifts are very meaningful and seems pretty good.